The MBA/MA in Communication combines the resources of two respected schools to prepare students to build relationships, inspire colleagues, and lead organizations. The Johns Hopkins MBA/MA in Communication helps students develop managerial acumen and expertise as communicators. Administered with the Johns Hopkins Zanvyl Krieger School of Arts and Sciences, the dual-degree program will prepare you to take a leadership role in a range of areas including public and media relations, advertising, crisis communication, risk communication, and organizational development. Among its many strengths, the MBA/MA in Communications will educate you in the use of new media to transform old business practices. You’ll learn to build constructive relationships with media organizations and other clients, and to promote and protect your company’s brand. Courses are offered in Washington, D.C. and online. Students may choose either the Research Track or Strategic Planning Track. View detailed MA in Communication degree requirements here. Applications for the MBA/MA in Communication dual-degree program must submitted to the Krieger School of Arts and Sciences Advanced Academic Programs. The admissions committees of both schools will review each application. 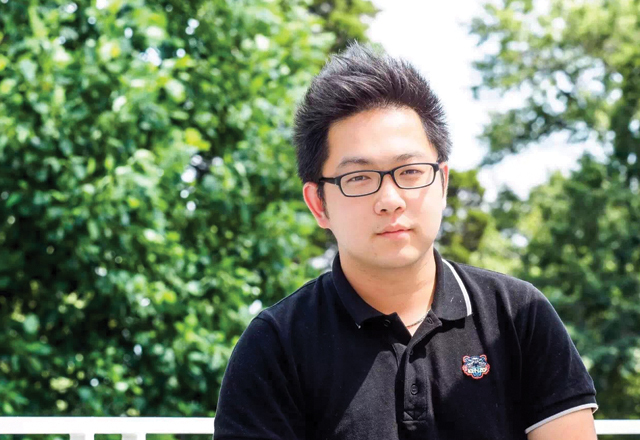 When it came time to make a decision, Tian said Carey’s Master of Science in Marketing program was the clear choice for him.